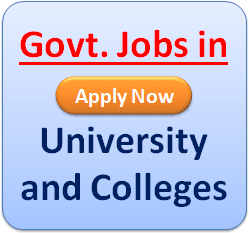 West Bengal Primary Teacher Recruitment Notification or Application form 2019, WB Primary Teacher Admit Card 2019 Download, WB Primary Teacher Syllabus 2019 , West Bengal Eligibility 2019, WB Primary Teacher exam Date 2019, West Bengal Primary Teacher Exam Result 2019, WB Primary Teacher Question Paper or West Bengal Primary Teacher Reference Books or Study Materials of. WB (West Bengal) Primary Teacher Requirement 2019. From now all candidates those want to become a primary teacher i.e for ‘Class I to V’ or ‘Class VI to VIII’ also know as ‘lower primary’ and ‘upper primary’ teacher respectively in WB state govt. 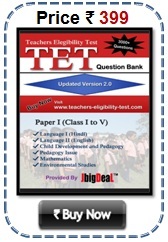 primary schools, have to appear in an exam called WB TET (teachers eligibility Test). WB Primary Teacher Recruitment exam has been divided into two parts one is for Class I to V and Class VI to VIII teachers. 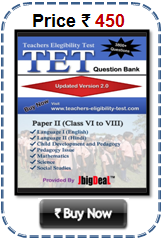 If you want to became a lower primary teacher in WB then you have to appear in WB TET paper I exam, else WB TET Paper II exam, eligible candidates may also apply for both posts in WB. But in some cases West Bengal Sarva Shiksha Abhiyan (SSA) or WB Primary Teacher Recruitment Board May Conducted Different (other than TET) for the recruitment of Primary Teacher in West Bengal State 2019-2020.
a66a asb comment,request kre amdr ki lav h66e.apnadr ka6 theke help chaoyar cheye .....help chaoya onek valo. I have 2012 admit. I can't got 2014 admit. Just i get a receive. What can i do? Plz tell me as well as possible. Roll no- 070058590 of 2012. Ami 1jon fress candidate.Ami primary form fill up kivabe korbo ?Ami chalan katbo kivabe ? Ami primary form fill up kivabe korbo ? Ami chalan katbo kivabe ? Sir,fresherder form fill up kobe theke ki vabe kora jabe? I have filled up the form in 2012 and appeared in the primary exam in 2013 march but now how can I apply in the new advertisement? I have got a UBI chalan by depositing Rs.100 and i want to know the when will i be able to fill up the form or can down loan the admit card on the basis of UBI chalan and in which date the exam will be conducted? Sir I have got a ubi chalan by depositing 100 rupees and I want to know when I will apply the form/ can down load the admit card and in which date the exam will be conducted. sir, primary teacher ka exam date to entend ho gaya hai.. to kya acknowledge slip printout ka jo date tha jo expire ho gaya hai kya wo phir se on hoga..jisne acknowledge slip printout naki kiya kya wo ab kar payega? ?